Hunger Task Force is the first food bank in the country to adapt the USDA’s healthy eating model, MyPlate. In 2017, Hunger Task Force pioneered a new food bank model based upon USDA nutrition recommendations called MyPlate. 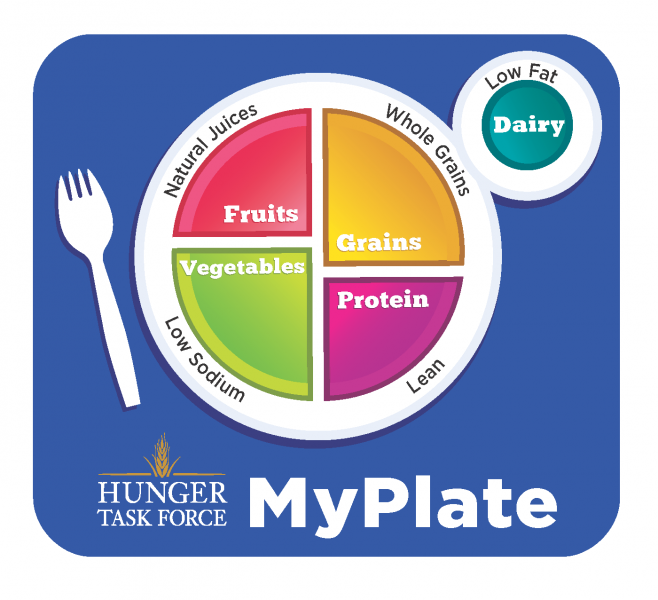 The Hunger Task Force MyPlate is a healthy model that showcases the five main food groups as presented on a plate. MyPlate encourages people to eat healthy foods by choosing the right types and amounts of foods to eat. The Hunger Task Force MyPlate model assures that vulnerable children, families and seniors who rely on food from the pantries, soup kitchens and homeless shelters receive nutritious foods. The Hunger Task Force MyPlate model includes preferred food items from all five food groups: protein, fruits, vegetables, grains and dairy. Donate low fat boxed milk; canned vegetables that are low in sodium; canned fruits packed in their own juice and 100% fruit juices; and whole grain cereals and pastas. The Hunger Task Force MyPlate has changed the basics of local hunger relief, targeting healthy, nutritious food donations from the community over highly processed, boxed foods like boxed macaroni & cheese and ramen noodles. When choosing items to donate from the grocery store shelf, think about fruit packed in its own juices; low- and no-salt vegetables; low-fat dairy foods; lean meats and whole grain foods. When in doubt, look to our Preferred Food Items (below) to know what foods to donate. Hunger Task Force is committed to providing only healthy foods to local pantries and meal programs. Why is Hunger Task Force refusing items like soda, chips and ramen noodles? When a family or individual comes to a pantry for emergency assistance, they receive a 3-day supply of emergency food. Food from a pantry is not meant to be an ongoing source of food—it is an emergency supply. Hunger Task Force is committed to ensuring this 3-day supply represents only healthy breakfast, lunch and dinner foods. Families or individuals facing hunger also have additional health struggles, including diabetes, obesity or high blood pressure. This further underscores Hunger Task Force’s commitment to providing only healthy foods at local food pantries or meal programs, instead of providing ramen noodles, chips or foods high in sodium. 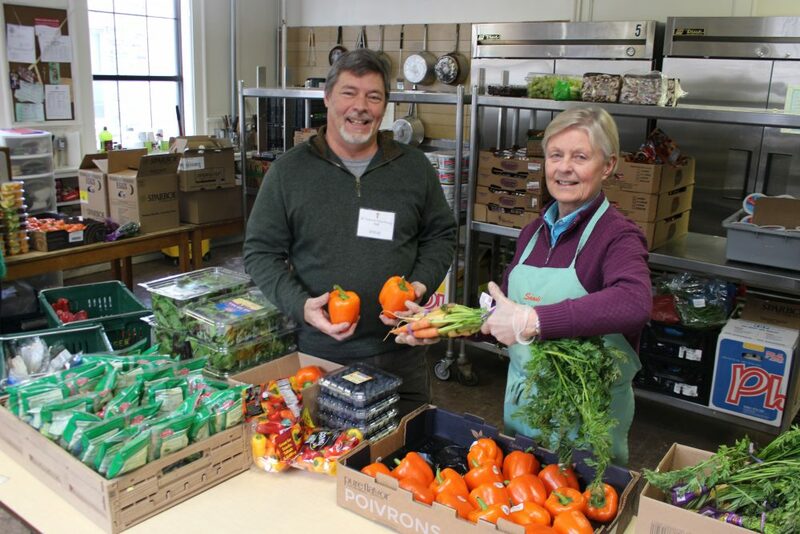 How do you ensure that healthy items make it to area food pantries? The pantry coordinators within Hunger Task Force’s network, and Hunger Task Force outreach staff, speak with the families who receive help at emergency food pantries and help connect them with other food-buying resources or food resources (FoodShare, WIC, Summer Meals for Kids, Senior Nutrition Programs). 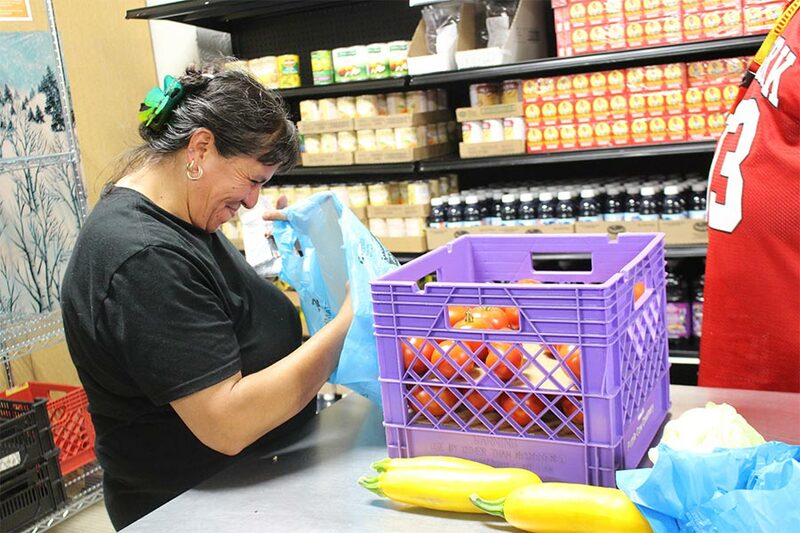 After receiving help from a pantry, a family or individual will often have resources to purchase food and can choose to buy foods that they like in a grocery store with dignity. Healthy foods like milk, peanut butter, and breakfast cereal are still sometimes difficult to afford on meager budgets or FoodShare benefits, so Hunger Task Force is committed to providing those foods in our 3-day emergency food supply. We think critically about food quality and encourage others to join us. What do you do with donated foods that are not nutritious? Hunger Task Force has a long standing tradition of distributing food with dignity. In regular food-sorting practice, any food that is aging, damaged, expired or improperly labeled is discarded. Hunger Task Force encourages food donors to donate healthy foods that align with the USDA’s MyPlate guidelines. Hunger Task Force no longer distributes unhealthy foods such as ramen noodles, soda, chips or baking mixes. These are composted through a partnership with the House of Corrections. Volunteers and donors are encouraged to learn about Preferred Food Items of the Hunger Task Force MyPlate and donate foods on that list. I want my donations to make an impact but can’t afford expensive items. What can I donate? Canned vegetables low in sodium, low-fat boxed milk, spaghetti sauce with no sugar added, fruit in its own juice, and tuna or chicken in a can or pouch are all affordable items that can be donated. Pass on items that don’t fit into the Hunger Task Force MyPlate model, such as packaged ramen noodles. Hunger Task Force purchases truckloads of food to meet the shortfall of these donations in our inventory, and cash donations often go further with our warehouse buying power than at the grocery store. Think quality over quantity when making your next donation. Every item and every dollar matters and we appreciate your donation.